It’s been just over 6 months since Hubby and I purchased our first house however it’s not really our first "home". 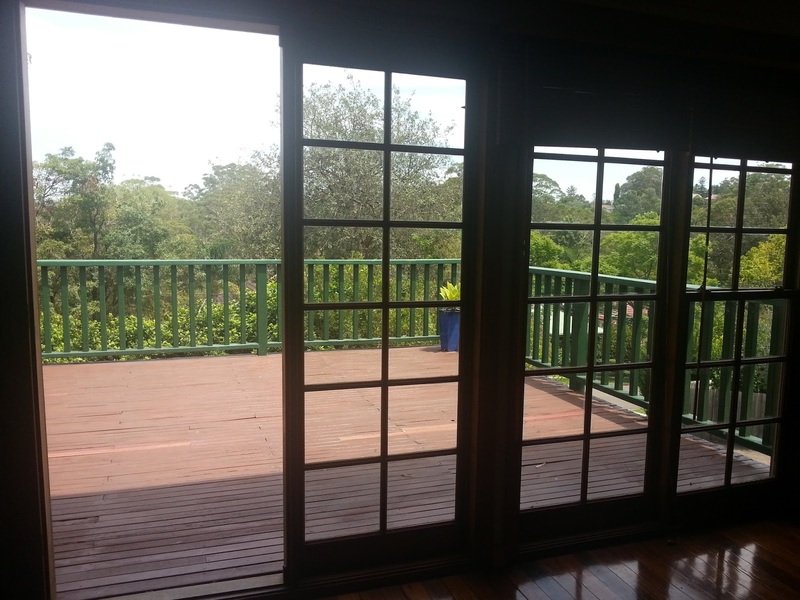 We owned a studio loft apartment conveniently located just outside of Sydney CBD and lived there on and off for several years. We experienced the apartment living for 10 years so moving into a double storey home is a huge and exciting change for us, more so the fact we finally have a yard for gardening, a peaceful and quiet neighbourhood, freedom for our furry baby Kookai to roam around and finally having more SPACE to entertain and breath! 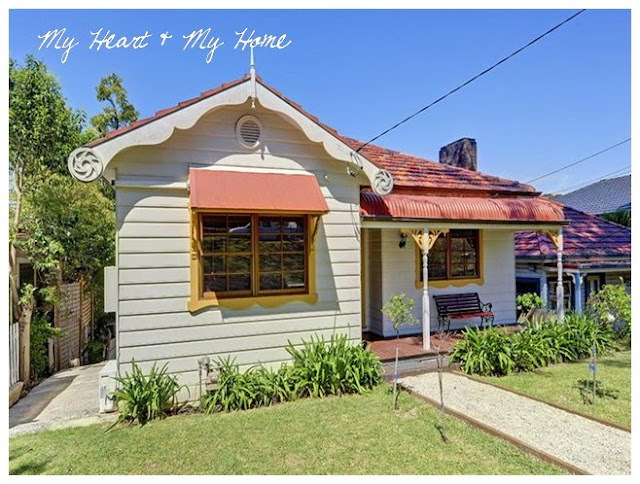 Our house is a 1950’s clad, set in a very leafy and quiet neighbourhood of Thornleigh NSW, however this charming and humble 3.5 bdrm house needed some serious attention and T.L.C. It was slowly deteriorating but noticeably and seemingly even moments after the house went under our name. And lately...it never ceases to surprise our wallets from all the cost of fixing concealed building and plumbing problems. I still remember the first time I laid eyes on this house, I fell in-love with its unique character and qualities, its simple beauty and its potential to be our perfect little home.... after lots and lots of love of course. And oh my my!....I was sold the moment I stepped out on the balcony and was surrounded by all the endless green. My heart just melted and I went into a state of epiphany..that this was 'the home', the place that will one day gather and entertain my family and friends. Yes, the possibilities are endless and that's when my infatuation with collecting renovation and home ideas began, and even started to permeate my sleep... but I just knew that I had great plans for this house...it's almost like I saw it at it's completed stage. And by working with its the original character, it was possible to transform this house into a pretty little Hampton/Shabby French-inspired/Coastal-feel abode that we’d both eventually adore. I say “I” because in the first instance, Jeff was dubious about the house and believed it’s too much work, time & money to fix and it didn't help that he lacks imagination and creativity a lot of the time. But with humility, I now admit he was very right.... but that doesn’t take away the fact the house is still beautiful and I still loved it...and this could one day be our perfect home. You see, he’s a realist and I'm an idealist that’s why we compliment and are perfect for each other (cheesy I know).We joke about how I am the 'WOW' and he is the 'HOW'. I come up with these big dreams, goals and crazy ideas...and he then finds a way to make it happen within reason of course. And he gives me the reality check that I constantly need but then I encourage him to reach for the stars..this goes for every project we take on but this is great, because we keep each other balanced. I believed this house would be a great DIY project for both of us to take on and requires great team work and lots of patience (something I'm constantly working on) just like the home renovation shows (gosh, they make it look so easy but its NOT! )......but yes, anything is possible if the love is there. I like the quote by Gandhi "where there is love, there is life" and I believe this with all my heart. Anyways, after much effort of convincing, researching, planning and creating visual boards to stimulate Jeff's imagination, at last! he saw the big picture and was semi-equally excited of the possible end result but not the work involved. And so we finally agreed to buy this house and this humble little cottage is now OURS...hip hip hooray! Our plans for a major (internal) renovation started effectively but due to unforeseen and unfortunate circumstances (sigh*)…we’ve learnt that we needed to be patient and accept that it's going to be a very, very, very long process. As two amateur renovators and with full-time office jobs, we totally underestimated the work involved, the time frame and most especially the budget hence hard and valuable lessons (another sigh*) are learnt each day. We also realised we’d need to do it in stages e.g. Upstairs, Downstairs, Front yard, Backyard and then Garage, that so we don’t overwhelm or kill ourselves from stress, exhaustion and most importantly rip a big fat hole in our pockets all at the same time. And it maybe needless to say but it’s been a love and hate relationship and a testing of faith on the home and also our relationship… although Jeff seems to be holding the fort a lot. We find ourselves crying and laughing about it from time to time but nevertheless, we press forward until this project is done and remain to cling onto hope that from our labour of love, the end result will be rewarding and gratifying. We refer back to our visual board...and this helps us keep going. We knew that it was a very ambitious quest and so far it’s been quite an experience , never to be forgotten and never to regret…and probably never to do again (for now anyways..the heart and mind is always fleeting)....but oh well, we live and learn. But I can't wait when we're finally at the stage when I can start interior designing (my favourite part) and filling this home with furniture's..... and ultimately having our loved ones over. So on this blog, I’ll continually share photos and updates of our house as it goes through a journey of transformation into “our” perfect little humble cottage style home. You'll find our progression photos on my House Tour Page. Again, this definitely couldn’t be achieved without the inspirations from endless hours being fixated on Pinterest, Houzz, DIY blogs and the ever-growing boulder of home magazines in my living room. ...oh, and the never-ending trips to our local hardware store... it's sounds exhausting right, because it is?? We know that we can't do this without the advice and guidance of our tradie friends and the help of my in-laws..so far, this has been our saving grace in this renovating journey until the end. But ahhhhhhh......one can only hope and believe that it will all pay off in the end. Staying positive here..as always.